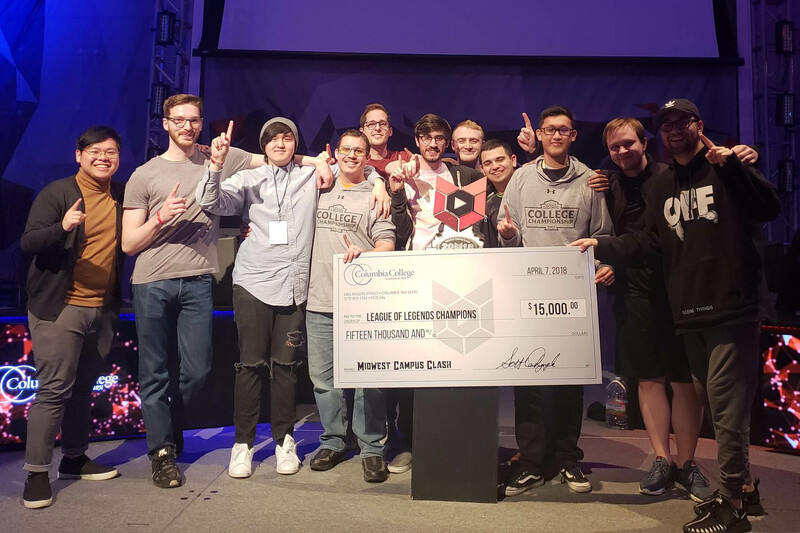 Eight wins away from defending its national title, Maryville’s Esports team is in a sweet spot coming off a victory over rival Columbia College to secure the top seed for the League of Legends College Championships. The national championships will be held June 7-10 in Los Angeles. Maryville lost to Columbia College during the regular season and was ranked third in the Midwest Campus Clash tournament, but the Saints picked up their play to win the North Regional finals by beating Columbia. Three hundred teams competed during the regular season and only eight made it to the finals. Maryville will square off against Illinois in the first round and will face the winner of the University of Texas – Dallas and Columbia match in the semis. The University of California – Irvine, the University of Ottawa, the University of Western Ontario and the University of Maryland are the other teams in the bracket. Maryville entered the postseason with a 19-3 record. Over the past two years, they claimed a national title and two other tourney titles. In their first season, the Saints went 40-0. Their success has generated positive buzz for the team nationally and internationally, which has helped with the team’s recruiting efforts. Luu hails from Canada. Two other new players, Derek Micheau and Michael Taylor, are both from Washington. The team’s accomplishments have also allowed Maryville to expand its Esports program with the roll out of teams for Counter-Strike: Global Offensive, Hearthstone and Overwatch games next year. Given the tremendous growth of Esports on college campuses, it comes as no surprise that the NCAA is showing interest. The organization contracted with a consulting company in late 2017 to learn more about existing Esports clubs at universities. Maryville is one of the six founding members of NACE, the National Association of Collegiate Esports. The organization has since expanded to over 70 schools across the country. All matches will be streamed on twitch.tv/riotgames.